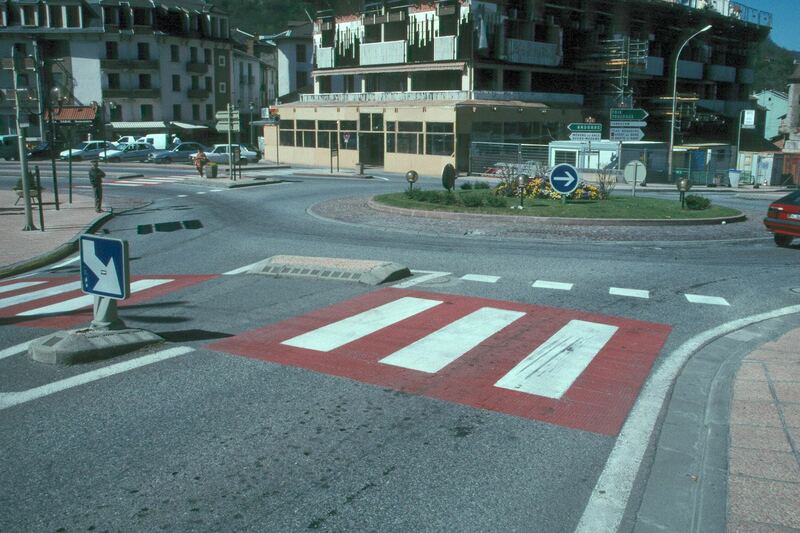 Developed in Europe, traffic calming (a direct translation of the German "vekehrsberuhigung") is a system of design and management strategies that aim to balance traffic on streets with other uses. It is founded on the idea that streets should help create and preserve a sense of place, that their purpose is for people to walk, stroll, look, gaze, meet, play, shop and even work alongside cars - but not dominated by them. The tools of traffic calming take a different approach from treating the street only as a conduit for vehicles passing through at the greatest possible speed. They include techniques designed to lessen the impact of motor vehicle traffic by slowing it down, or literally "calming" it. This helps build human-scale places and an environment friendly to people on foot. Besides its power to improve the livability of a place, the beauty of traffic calming is that it can be applied inexpensively and flexibly. 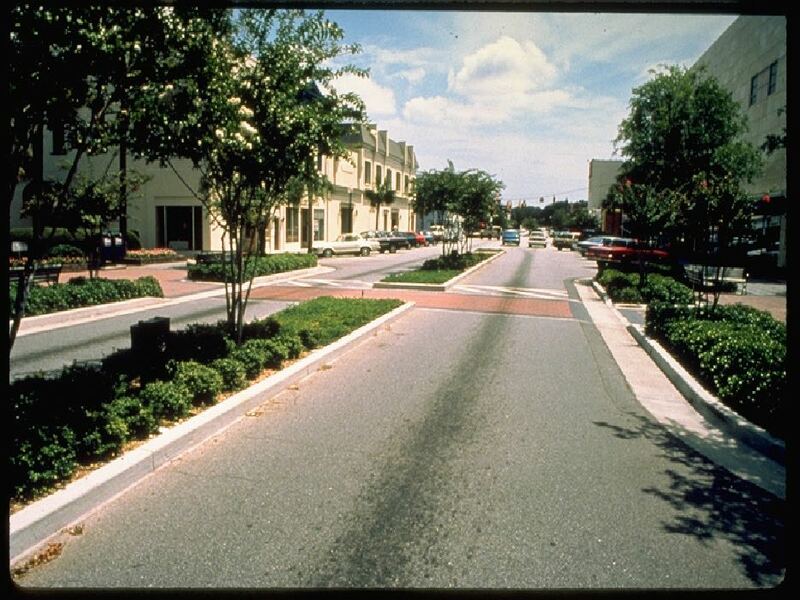 The strategies outlined below in The Traffic Calming Toolbox can be employed by painting lines, colors and patterns; using planters, bollards and other removable barriers; eliminating or adding parking; or installing sidewalk extensions or similar structures with temporary materials. All provide an opportunity to test devices, combinations and locations, fine-tuning the approach according to results. 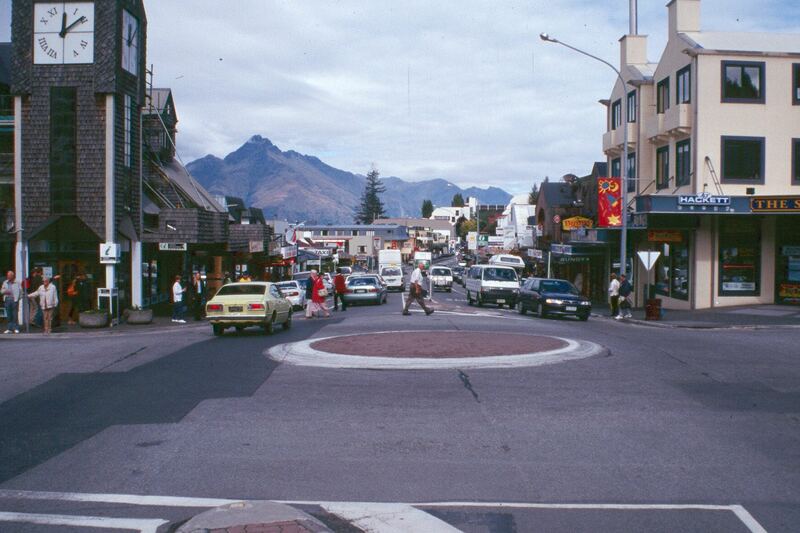 Traffic calming, along with other small-scale improvements, can enhance a place immediately, while being tested and refined to meet long-term needs. When funds are available, the right combination of devices can be transformed into permanent improvements and extended over a broader area. 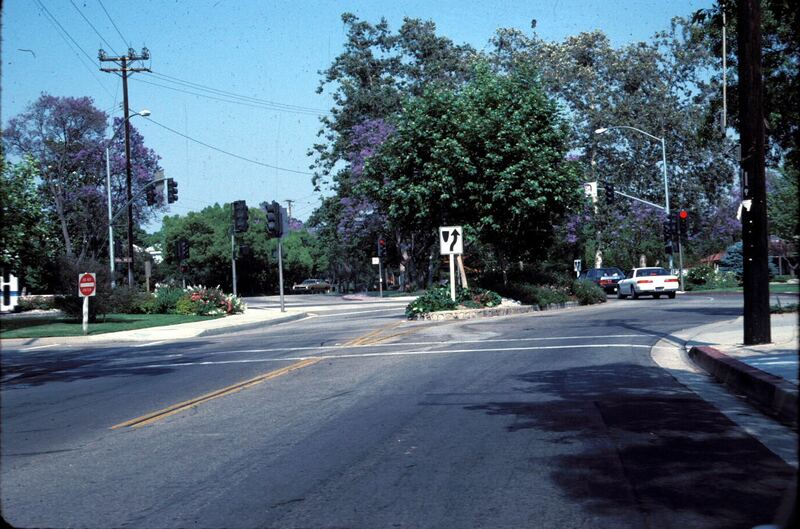 Regardless of what traffic-calming action is undertaken, the benefit to a community is greater when the technical improvements are strengthened by visual enhancements like trees, flowers and other amenities. These techniques provide a flexible way to take back space from the street for non-motor-vehicle uses. Traditional traffic engineering calls for 12- to 13-foot lanes, citing "traffic safety" standards - but newer evidence shows that lanes as narrow as nine feet can still be safe for driving. Narrowing lanes and to widen sidewalks eases crossing for pedestrians and gives them more space to walk. Lanes can also be removed from serving traffic and designated for busses, trolleys, or other types of transit. 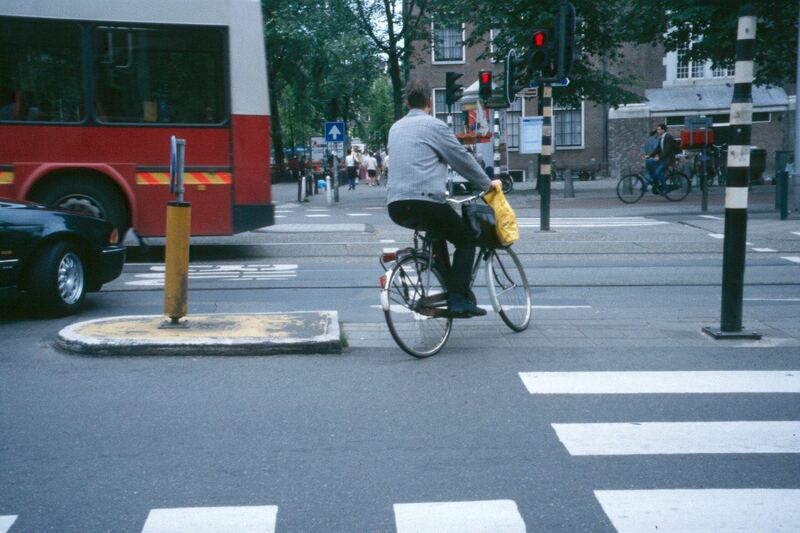 Traffic lanes can be transformed into bicycle lanes. 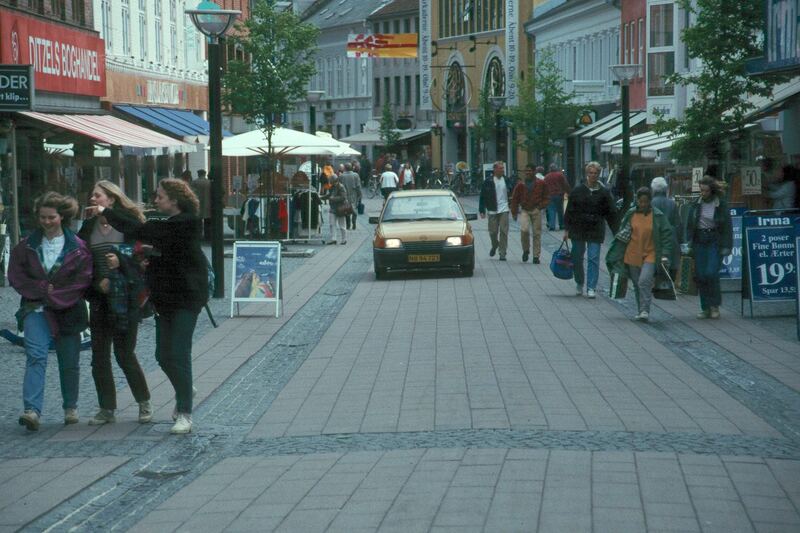 All street lanes can be narrowed together to create more room for non-auto uses. 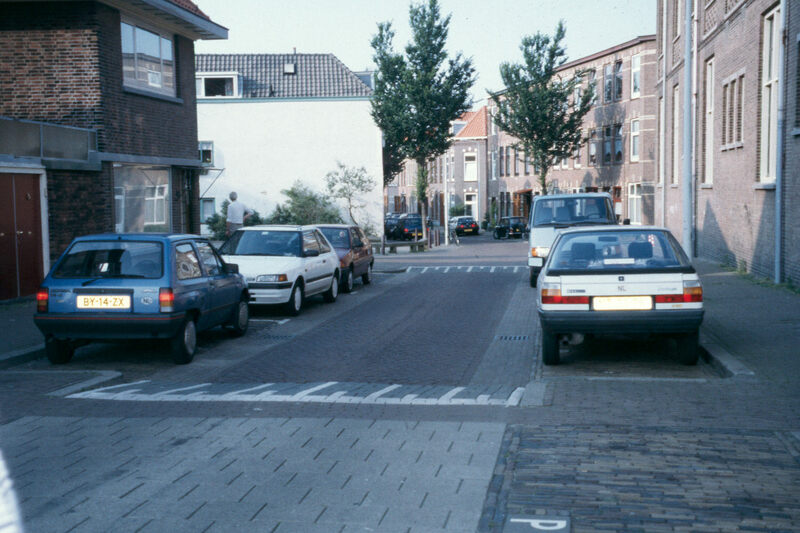 Vertical elements like trees or bollards further reduce the "optical width" of a narrowed street, thereby discouraging speeding. Diagonal parking and parallel parking can be alternated to create a chicane effect. Chicanes are best used on narrow roads, to prevents cars from swinging out to maintain their speed around the bends. A sloping ramp around the perimeter of the raised island allows buses, trucks and other large vehicles to maneuver the continuous curve while still maintaining a lowered speed. These physical barriers redirect traffic heading for a certain street onto a different course, reducing vehicle overload on vulnerable (usually residential) streets overrun by through traffic looking for shortcuts. Diagonal Diverters traverse an entire intersection, actually creating two unconnected streets that each turn sharply away from one another. Semi-Diverters restrict traffic in one direction to prevent entrance to a street, while permitting traffic to pass through in the other direction. Although they effectively reduce traffic volume, diverters must be part of a comprehensive improvement scheme or else they can end up simply displacing congestion. These devices reduce speed by introducing modest up-and-down changes in the level of the street, thereby requiring drivers to decelerate. Speed tables are road humps that are flat on top and sometimes slightly longer. They are the same width as the street and rise to meet the grade of the sidewalk, providing safe and comfortable crossings for walkers and wheelchairs (and greater access for snow clearance than road humps). One benefit of speed tables is that people cross at the point where drivers decrease speed. Cushions cover only part of the width of the street to allow passage for emergency vehicles, buses or other large vehicles, and bicycles; they are usually placed at varying intervals to respond to the need to channel the wheels of larger vehicles, while still providing hurdles wide enough to slow standard-sized vehicles. 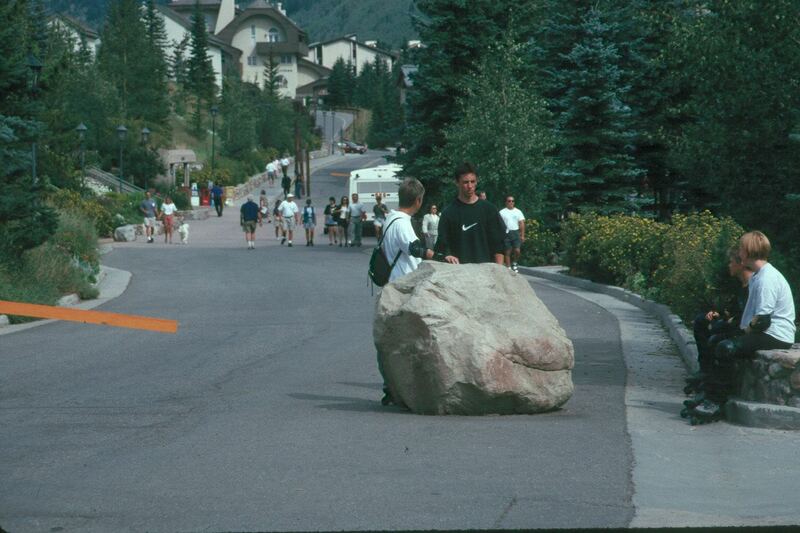 It is important to highlight road humps, speed tables and cushions with clear markings to alert approaching drivers. 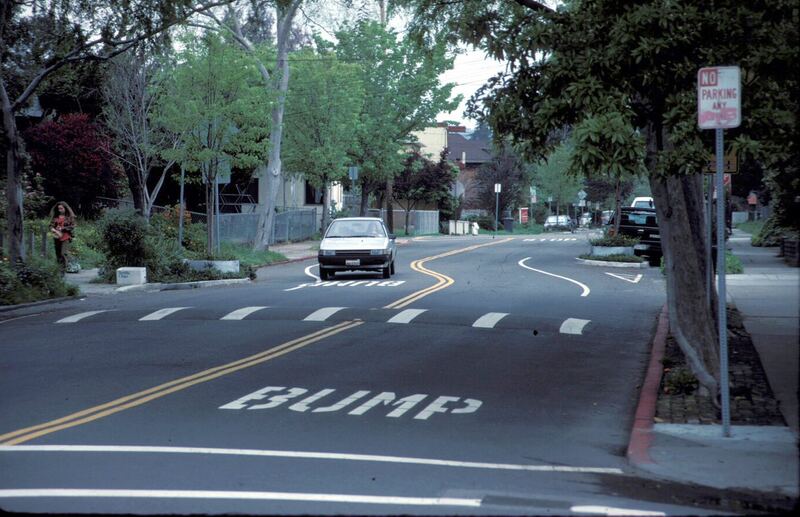 This can be accomplished by: painting words and symbols directly on the street; changing the texture of the street surface; or using signage (the word "Bump" instead of "Hump" is a standard approach thought to effectively put drivers on the alert). The rumble strip provides visual and aural cues to alert drivers to areas that require special care (shopping centers, freeways undergoing construction work, schools, entrances to residential neighborhoods). Materials like granite and concrete are roughened by being broken into raised lines or patterns, and placed in strips across roadways, usually in a series. Drivers can lessen the vibration and the abrasive sound they create by slowing down. 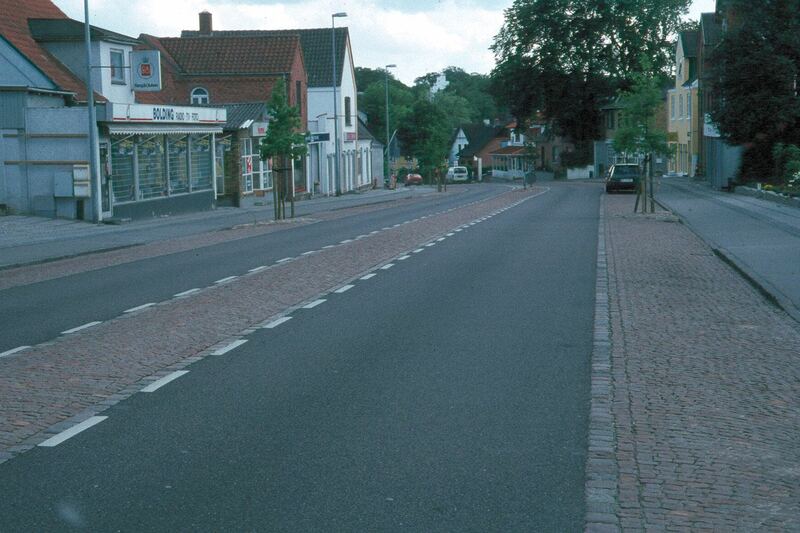 Changes in pavement color and texture (such as bricks or Belgian blocks), used in interesting and visually attractive ways, can also have the effect of rumble strips. 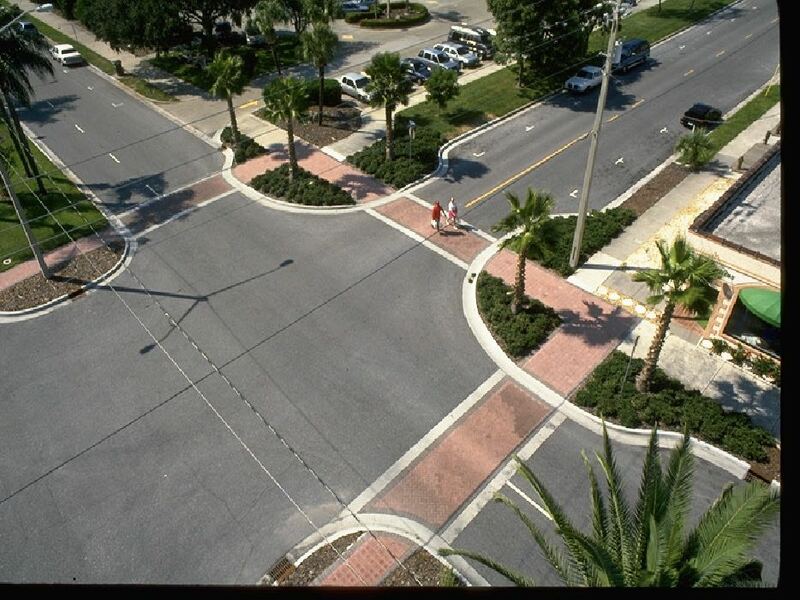 These paving treatments also: delineate and create awareness of a pedestrian crosswalk or haven; make a street appear narrower than it is to deter speeding; define a street from a sidewalk or a parking lane. The "starter set" of traffic-calming tools outlined above can be effective in a variety of ways. However, each tool has its own specific applications, and not every one fits every single circumstance. Some tools are more effective if used in combination with each other, or with alternative transportation approaches like bicycles, buses or light rail. The right use hinges on existing conditions along a street and the desired outcomes. The following is a sampler of issues that need to be considered when making traffic calming choices. Do emergency and service vehicles use the area? Do school buses? Is there a problem with through traffic? What are the surrounding uses? Residential? Commercial? Retail? Cultural? Entertainment? Civic? Educational? Other? Who are the users? Are there many elderly or disabled people or children? What kinds of activities are going on in the vicinity or are planned to go on? Are there plans for improving the area? If so, how? What kinds of streets are being looked at? What is the ideal speed desired? Is transit service available? If so, where and what kind? Transit can be an efficient, more economical and less polluting alternative to the automobile - but transit alone doesn't necessarily make a place more livable. People still need to cross streets safely to reach a train station, bus stop, or other transit hub. And they need a pleasant and direct walking route along the way. This is where traffic calming comes in. Cushions enable buses to pass smoothly over an area, yet still slow smaller vehicles. 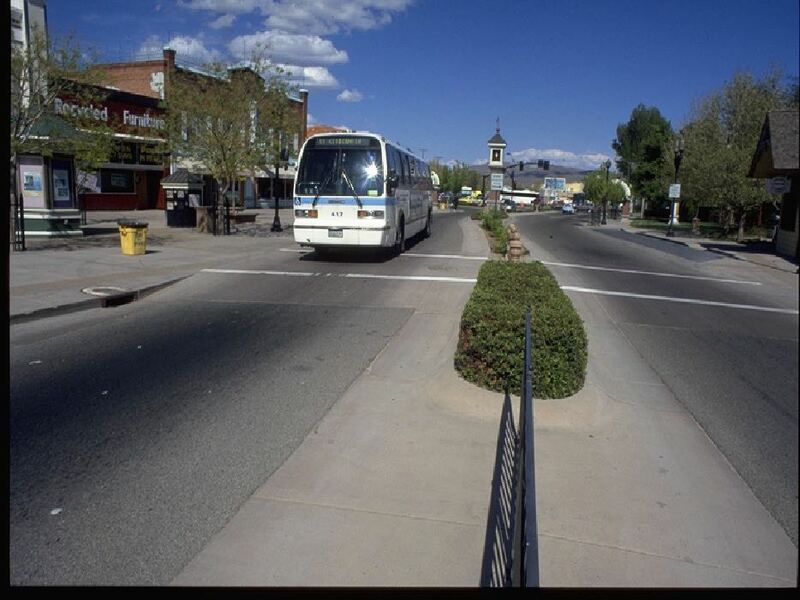 Bus "bumpouts" or "nubs" allow buses to pick up passengers without having to move out of the traffic lane. They extend across a parking lane to meet the traffic lane (and the bus that is in it), giving passengers a safe and accessible approach, while also saving travel time. Nubs can be built to line up with both the front and rear doors of a standard bus, and can accommodate amenities like bus shelters, benches, telephones and waste receptacles. 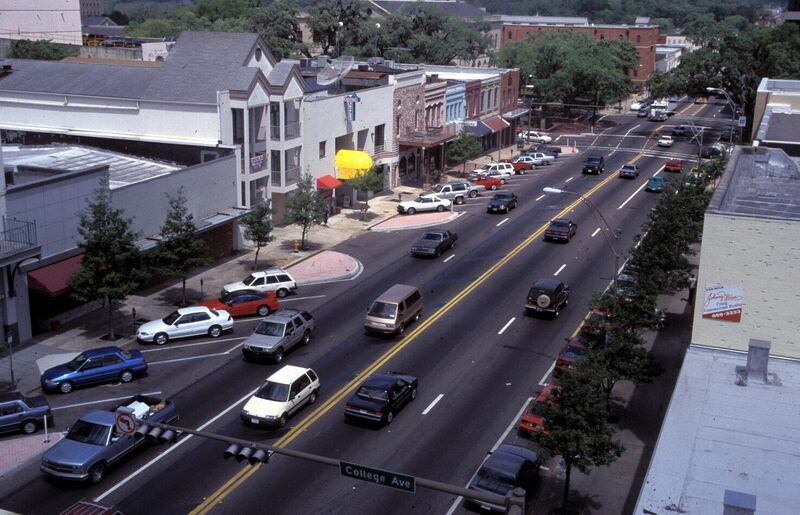 By and large though, as long as they are coordinated to meet the needs of a specific street environment and its surrounding community, traffic calming and transit can work together to provide the comfortable, convenient and safe connections that enhance a place and promote a positive experience there. Two considerations to make are: How does transit relate to sites where where traffic-calming improvements are needed? How can transit and traffic calming reinforce one another in order to help people get from place to place without driving? Transportation agencies often believe they could be sued by drivers (not pedestrians) who might have a collision if design standards that give cars unencumbered, speedy passage are not followed. However, the most serious (and fatal) collisions are caused by high speeds. 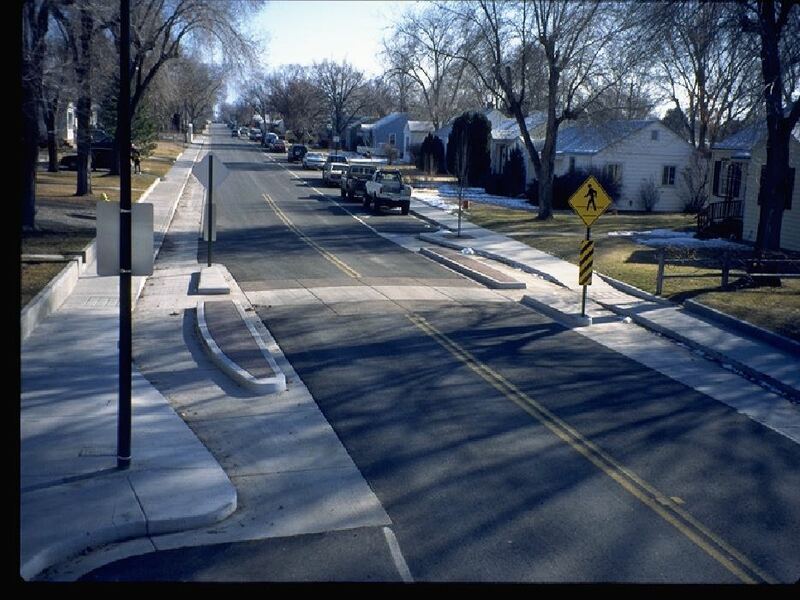 Traffic calming creates a set of checks and balances that compel those at the wheel to drive slowly and carefully, making streets safer for both drivers and pedestrians. In practice, liability is a murky area, subject to interpretations that can conflict from one jurisdiction to another. In New Jersey, for example, the Borough of Belmar was sued by Monmouth County for trying to make a street safer to cross. The street, Belmar's Ocean Avenue, is usually clogged with vehicles that rarely abide the 25 mph speed limit. Throngs of summer tourists cross Ocean Avenue to get to the beach, and on average, there is a fatal pedestrian/vehicular accident every two years - a rate that prompted the Mayor and his borough to take action.